Vistara airlines, the newest entry into the Indian airline business is keen to start new flights from Chandigarh Airport. Vistara is a joint venture between Tata and Singapore Airlines where Tata has 51% stake and Singapore Airlines (SIA) has the remaining 49% stake. 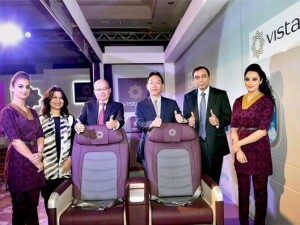 Vistara has recently got the permit to fly in the Indian skies as a domestic airline connecting some major cities of India. Vistara Airlines in its first phase was interested in starting flights from 10 major cities of India. These 10 cities are New Delhi, Goa, Mumbai, Bengaluru, Ahmedabad, Hyderabad, Chandigarh, Srinagar, Jammu and Patna. Although all 10 cities will not be connected in one go, but the plan to start flights from these 10 cities will be completed by the end of 2015. Selecting Chandigarh as one of the 10 cities by Vistara Airlines comes as a good news for city residents as it is a clear indication that Chandigarh is getting the status of an important metro city of India. 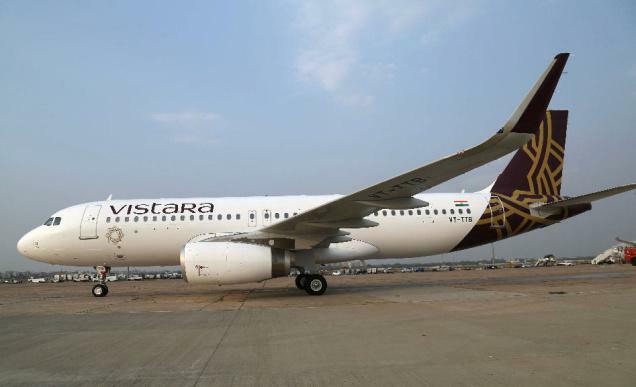 No date has been finalized for the first flight of Vistara Airlines which will land in Chandigarh but rumours are there about a new Vistara Airlines flight that will connect Chandigarh and New Delhi soon. The entry of Vistara Airlines into the Indian domestic aviation market will trigger a price competition along with giving travellers one more option to choose their flight. Vistara aims to provide a hassle free check-in and boarding process at Chandigarh Airport. We also need to mention that Chandigarh Airport is all set to start its first direct international flight in March 2015. Read more about the international flight here: Chandigarh Airport to soon start international flights.